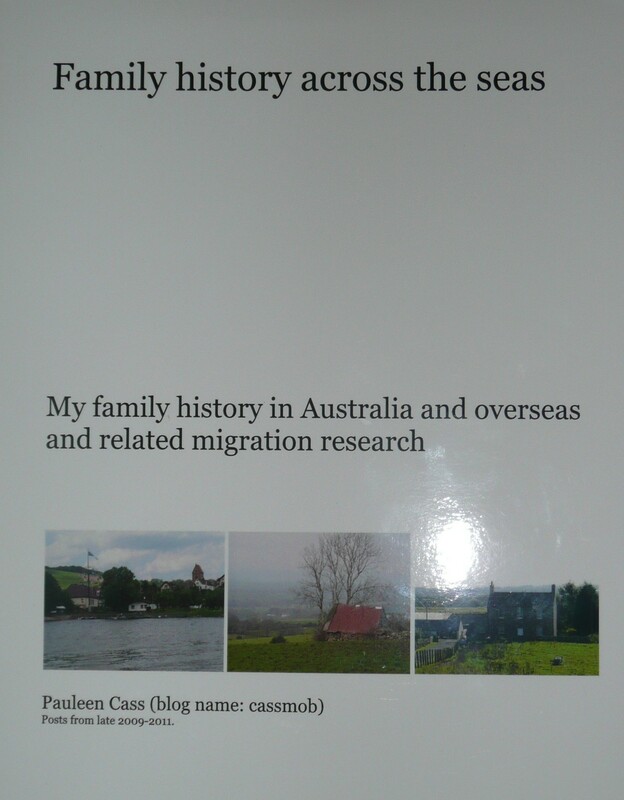 This entry was posted in Blogging, Family History, Writing and tagged blog to book, Blurb, Booksmart by cassmob. Bookmark the permalink. You never cease to amaze me with what you achieve… I’m exhausted just reading this. A great idea and well worth pursuing. Looking forward to seeing it.hearing more about the Blurb book. I was going to do it with My Uncle Ralph’s Letters, but the book was too big to be cost effective and is taking way to much editing time. But I love the idea. You are one patient and committed lady. Thanks for explaining this process – it was most informative. I’ll be following further posts on this topic with interest. I appreciate the compliments Jill but patience is certainly not my middle name…more like stubborn and persistent. Will update when I’m closer to the end. I’ve done 215 pages on the first pass and cut total down to 362 but it will take a while. Wow, I’m impressed. A few years ago, I tried to do a family cookbook using Blurb and became very frustrated trying to figure out the formatting. I ended up just doing the cookbook in Word and taking it to a copy shop where I got spiral bound copies made. If I ever find the time, I should try to do something similar to what you’re doing with my blog entries. I agree Sheryl, that Blurb is a bit of a pain in terms of formatting. It’s done some strange things this time round -more than last time, or perhaps memory dims. With a cookbook it would probably be a nightmare. May work however with the blog entries. This time, however, it has frozen on “196 od 307 photos” and seems not to want to move on. G’day Pauleen… I’ve come back to this post because my daughter is strongly encouraging/ asking me to put my blog into book form which I’m seriously giving thought to. Well, at least some of it. Thanks so much for this info… am thinking that maybe I should start with putting my “Family History Through the Alphabet” blogs into a book. Am also wondering if I can upload some of my posts, work on them, and then add others before moving it to the printing stage??? Good advice from your DD, Catherine. You can select certain aspects of your blog which you’ve categorised or tagged (can’t quite remember which). You can also add others later on. What I don’t think you can do, is upload the posts then keeping adding new ones you write. Not sure though. Of course you can always give it a try and trash the ones you don’t like provided you haven’t spent hours working on them. Worth trying perhaps. I did my 2011 posts in two batches: the 52 weeks of personal stories stuff in one book then all the others in another. Still haven’t done 2012’s….oops. It’s so nice to be welcomed back by my mates.